A domestic violence charge is an assault and battery between family members, married people, unmarried people who have a child in common or people in a dating, or former dating, relationship. Domestic violence offenses are generally misdemeanor charges, but can be charged as a felony is there are prior domestic violence offenses. There are huge ramifications from a domestic violence conviction. There is the possibility of not being allowed to return to your home, jail time, fines and costs, therapy, inability to possess a firearm, and drug and alcohol testing among many other things. A domestic violence charge can cause you to lose jobs and/or employment opportunities – because it is a crime of violence. It can cost your family, your freedom, your livelihood and your money. There is a lot at stake. There is hope. The attorneys at Lewis & Dickstein, P.L.L.C. specialize is representing people charged with domestic violence offenses. 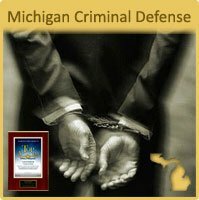 Our attorneys have had successes in courtrooms across the State of Michigan. 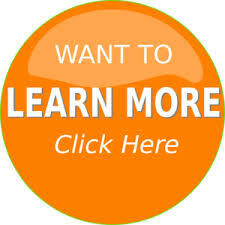 We are well respected and recognized experts in defending people charged with crimes. Our attorneys will meet with you and plan the best possible defense available. Our attorneys stay current on the law and are creative in formulating, and using, all possible defenses to protect you. We also have access to nationally recognized experts in the field of social work, therapy and psychology to assist in your defense if needed. Domestic Violence – What Can Happen – Jail or probation? Depends on your lawyer and what defenses are available. A great lawyer that handles domestic violence gives you the best chance of avoiding jail, probation and a conviction if possible. Don’t trust your fate to the lowest bidder. When your future is on the line, you need a fighter by your side. The Defense Team with LEWIS & DICKSTEIN, P.L.L.C. has decades of experience and has earned an unparalleled track-record for successful representation of clients charged with domestic violence. Call us today for a free consultation at (248) 263-6800 or complete a Request for Assistance Form and we will promptly contact you.